Although many business owners dream of having a steady flow of cash at all times, most companies face lean periods during the year. Industries such as retail, food service, and hospitality may struggle with this more than others, but every business needs extra cash now and then. A business line of credit can help solve the problem. This type of loan provides fast access to the funds you need when you’re scrambling to pay bills, make payroll, or replenish inventory. An understanding of the basics and the best ways to use the money will help you make the most of a credit line. When your company is low on funds, your first thought is probably to go to the bank or an alternative lender and apply for a loan. A line of credit is a more reliable option when you need money to cover day-to-day expenses or unexpected payments. Instead of giving you a one-time lump sum of cash, a credit line provides a continual source of funds you can draw from at any time. This “revolving” form of loan is more flexible than a traditional loan and doesn’t run out when you need it most. 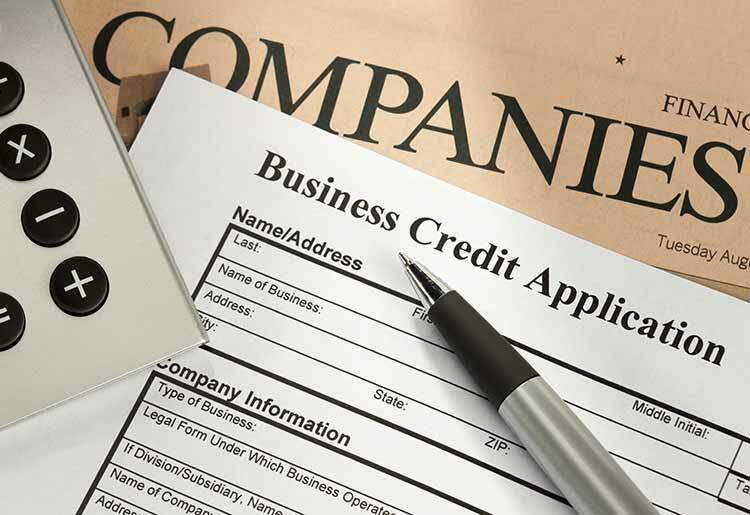 The application process for a line of credit is similar to a loan. Lenders require certain business, personal, and financial documentation to prove you can handle payments on whatever you borrow from the credit line. You need a solid credit score and proof of good monetary practices within your business in order to qualify. If your credit history is a little shaky, you may have better luck obtaining a line of credit from an alternative lender. Making a credit line work for you requires an understanding of your company’s cash flow cycle and how best to apply the available funds to support operations during slow seasons. U.S. Bank reports that 82 percent of small business failures can be attributed to poor handling of cash flow, so it’s important to review your finances and make projections for the future before applying. A line of credit isn’t always the best choice to bring in the cash you need. If you’re facing a large one-time payment or planning an expensive purchase, a traditional loan is likely to serve you better. However, if your company has consistent, predictable payments you know you can’t always make, a business credit line can fill in the gaps until cash flow stabilizes. Be sure to compare business line of credit providers when considering your overall needs, as there are many to choose from. What times of year are the hardest? Where do I need extra money most often? What other payments am I making right now? Common budget challenges for businesses include payroll, inventory, rent, utilities, and marketing. Go over past cash flow trends to find where a credit line can be most helpful. It isn’t possible to anticipate every unexpected problem, but you can prepare yourself for the most likely emergencies your business might encounter. Whether it’s equipment failure, the need to replenish inventory in the middle of a holiday rush, or a sudden change in market conditions, a line of credit can be there to cover the costs. Although it may seem like obvious advice, it’s critical to exercise smart spending habits after qualifying for a credit line. Having a certain amount of money to draw from doesn’t mean you should take as much as you can. “Maxing out” the given amount leaves you no recourse for emergencies. You might wind up having to take out another loan to meet payment deadlines and find yourself in a vicious cycle of continuing debt. This is why it’s important to know your needs, challenges, and potential emergency situations in advance so that you can plan to have enough credit available. Just like with a traditional loan, making timely payments on your credit line improves your overall credit score and can increase your chances of qualifying for other financial help in the future. You can also use your credit line to stay current with other payments, including invoices, credit cards, loans, and basic monthly obligations. Aim to pay down the balance on your credit line to zero at least once a year to maintain trust between your business and the lender. When cash flow problems come your way, a business line of credit is there to meet your needs. Adopting these best practices can help your business thrive and avoid becoming mired in debt. Does your business need the security of a credit line? Learn about some of the best small business loan lenders, and increase your chances of qualifying before you apply.